dataframe ⋆ 100% Private Proxies - Fast, Anonymous, Quality, Unlimited USA Private Proxy! Opa, gostaria de saber como posso inverter colunas inteiras com usando python. I asked this question here: https://stackoverflow.com/q/55640147/5202255 and was told to post on this forum. I would like to know whether my solution can be improved or if there is another approach to the problem. Any help is really appreciated! 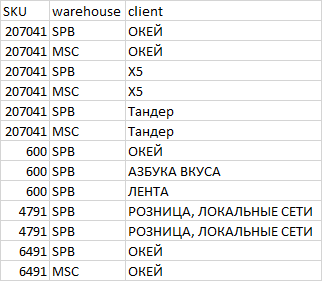 I would like to reshape a data frame object in multiple steps by first removing the first several rows of data, second setting a new index, and then lastly choosing which columns to include. The dataframe object is parsed from an excel file and includes header information that i would like to separate from the data frame values in the lower part of the sheet. Any pointers to libraries and or specific components of libraries would be appreciated. Links to documentation would be most helpful. I have a minimal example of multiprocessing where the expected output is a shared pandas dataframe. However, it seems that the four parallel processes stop before updating the dataframe during their first task, so updating the shared dataframe seems to be killing the processes. In my example, 10 text files are first created for testing purposes that each contain a single integer corresponding to the file name. The “analyze_file” function is given each of the 10 file paths and the namespace for variable sharing, and then it enters “result” (the sum of the integer value given in the files and each of the constants in the list called “constants”) into the appropriate place in the dataframe. I am attempting to use the namespace method for sharing the dataframe, but I must be incorrectly using it. I have a dataframe on which I apply a filter and then a series of transformations. At the end, I select several columns. What can I do to handle such scenario and prevent the select from failing? write/read efficiently dataframe objects into memory or disk? i’m running a for loop that loops over all the rows of a pandas dataframe, then it calculates the euclidean distance from one point at a time to all the other points in the dataframe, then it pass the following point, and do the same thing, and so on. The thing is that i need to store the value counts of the distances to plot a histogram later, i’m storing this in another pandas dataframe. The problem is that as the second dataframe gets bigger, i will run out of memory at the some time. Not to mention that also as the dataframe size grows, repeating this same loop will get slower, since it will be heavier and harder to handle in memory. The original df has a shape of (695556, 3) so the expected result should be a dataframe of shape (695556**3, 2) containing all the distance values from all the 3 vectors, and their counts. The problem is that this is impossible to fit into my 16gb ram. In this version, instead of just storing the counts dataframe into memory, i’m writting a csv for each loop. The idea is to put it all together later, once it finishes. This code works faster than the first one, since the time for each loop won’t increment as the dataframe grows in size. Although, it still being slow, since it has to write a csv each time. Not to say it will be even slower when i will have to read all of those csv’s into a single dataframe. Can anyone show me how i could optimize this code to achieve these same results but in faster and more memory efficient way?? I’m also open to other implementations, like, spark, dask, or whatever way to achieve the same result: a dataframe containing the value counts for all the distances but that could be more or less handy in terms of time and memory.